Because of our leisurely departure from Franschhoek we arrived in Stellenbosch with just some time to wander around around town and get a feel for the place. 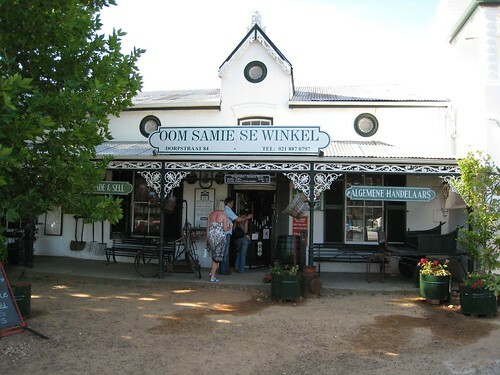 We went to visit Oom Samie se Winkel an Aladdin's cave of curios, nick-knacks and tourist souvenirs. Evening meal was in the Fishmonger restaurant. Then De Volkskombuis for a supper of traditional Cape cuisine. Sun: We hired two bicycles and cycled 10k up to Sugarbird Manor - a WWF guesthouse. 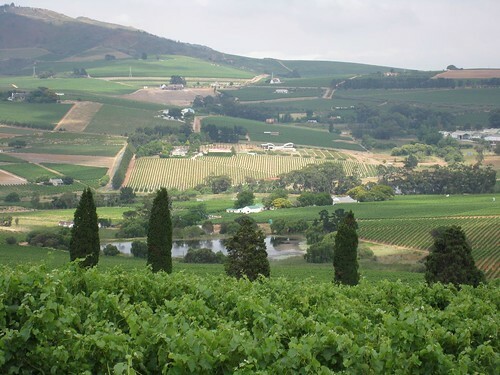 From there we did a 9k Devon Valley walk. We then cycled all the way back to Stellenbosch for an afternoon of relaxing. A quick trip to the Village museum then evening meal in the hotel's "1802" Restaurant. Our hotel was the d'Ouwe Werf, it may be SA's oldest inn dating back to 1802 but it was the one with the smallest and most cramped accommodation on our trip. A bit of a come down after Le Quartier Francais. These are beautiful places. 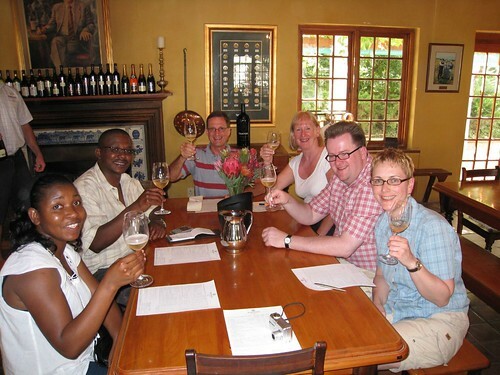 The Rustenburg winery is amazing, we enjoyed it very much as well! 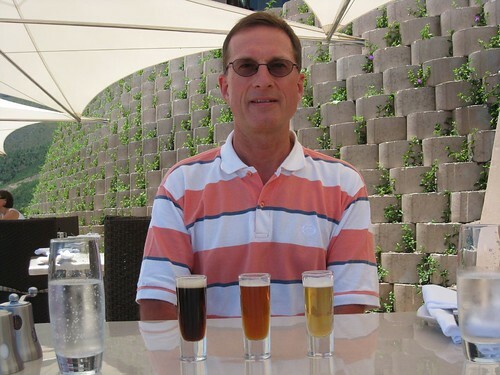 Not sure if that comment went through... We really enjoyed the Rustenburg winery as well, thank you for posting!